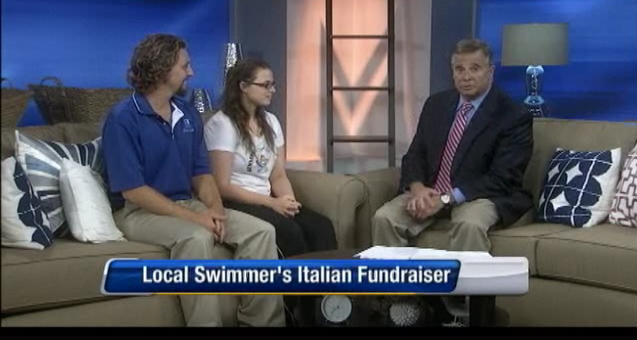 Florida swimmer Sarah Gilbert is fundraising to help offset trip costs for the 2011 Global Games in Italy. 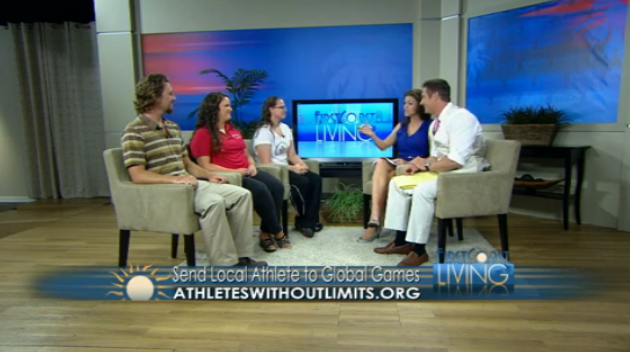 She appeared on First Coast News on August 8 along with one of her swim coaches Justin Heights and her rowing coach Victoria Mattie. (Note, after the sponsor ad, use the slider to get to the interview, which starts at 4:15). She also appeared with swim coach Justin Heights on WJXT and News4Jax.com. Use the link below to watch the full interview.